Remote Monitoring and Management (RMM) software application helps IT Service Providers maintain or monitor clients infrastructure or systems. Most of us are used to terms like IT, RMM, MSP and even PSA. However, one of the newest terms for the future just might be "RMM IT". But why should this be? 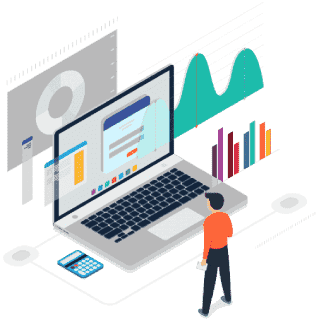 rmm tools software can significantly enhance IT services for MSP companies and the benefits are so great, it may someday be simply known as RMM IT Software. In fact, here are some of the benefits you can expect from a program like ITarian. Everyone is concerned about uptime and downtime and rightfully so. After all, there is no way you can make money while machines are not in operation or the system is not working right. RMM IT programs can help you by scheduling routine maintenance tasks, so you can be assured everything is finished on time. When a machine is not running properly, your RMM IT program will notice. This software continually scans the network looking for things which are "out of the ordinary". In fact, you have the power to set the parameters of what it searches for. As soon as something is not right, you can be informed and this helps you take care of the problem before it gets worse. So often, many companies see RMM IT programs as a valuable tool for taking care of only the client. However, they can also be a part of your maintenance tools, because of their scanning abilities and varied functions. These programs are there to assist clients with their maintenance issues and if your company also covers issues like maintenance, the software can be invaluable. Downtime is one of the biggest reasons clients change msp companies. They want to operate as smoothly as possible. Too much downtime can result in a loss of clients or customers and this can be devastating. Legal problems - when an msp experiences downtime, there is a good chance, the clients will also. In some cases, this can lead to lawsuits if the damages are large enough. Downtime may affect software compliance. Reputation - increased downtime can damage a business reputation because it may greatly affect msp/client relations. Troubleshooting becomes easier and more effective. Trouble tickets are quickly prioritized and routed. Security breaches are becoming commonplace today and as major corporations suffer with these issues, this makes it a real problem for everyone. Anytime you offer high security to a client you have their attention and thanks to the remote monitoring capabilities of RMM IT, you and your clients enjoy enhanced security. ITarian offers the Advanced Endpoint Protection add-on module designed to take care of malware problems on Windows and your mobile devices. Many malware troubles develop with no warning (zero day attacks) and with the automated containment feature of this module, you can stop these programs in their tracks. For enhanced security, you can set up your RMM IT software to use the Valkyrie file analysis system. It has the ability to analyze with dynamic and static methods, and because it is cloud based, it's always available to help you. It can be very difficult for the small or mid-sized msp to provide 24 hour service and support for all their systems and networks. In fact, it is very expensive to pay people for round-the-clock services. Thanks to modern RMM IT programs, your networks are watched over 24 hours each day and whenever a problem develops you are notified in real-time. This adds a great deal of value to your services and because some of these programs are free of charge, RMM IT is something most businesses cannot afford to be without. Call us at (973) 859 4000 ext 3025 for a live demonstration or visit https://www.itarian.com/ for more info today.